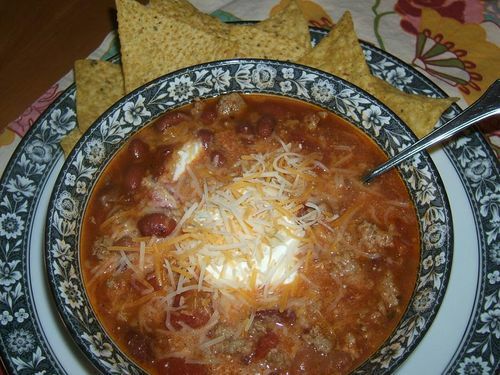 May garnish with tortilla chips, shredded cheese and sour cream. Brown beef, onions and garlic. After complete add the rest of the ingredients except for the garnish of course! Bring to a boil; reduce heat and simmer for one hour. Spoon into bowls and garnish with tortilla chips, cheese and sour cream.